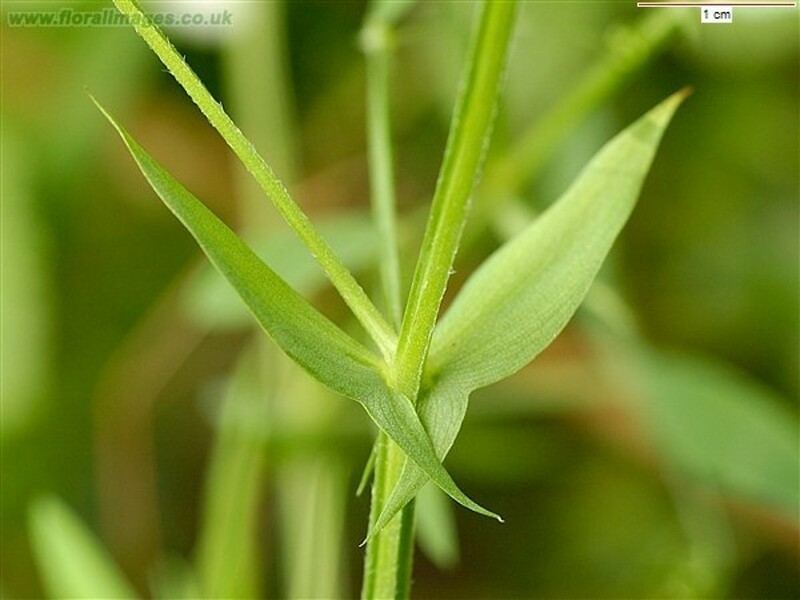 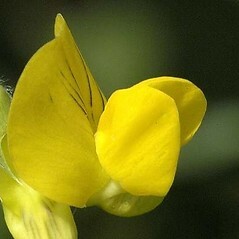 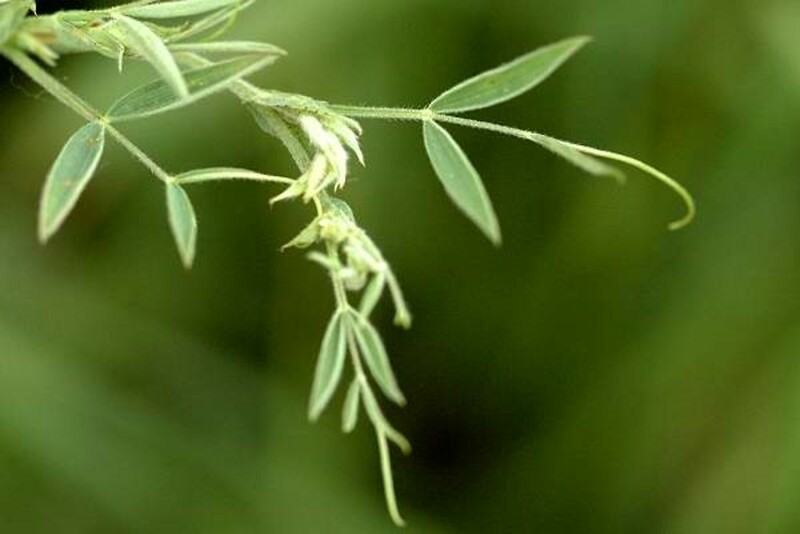 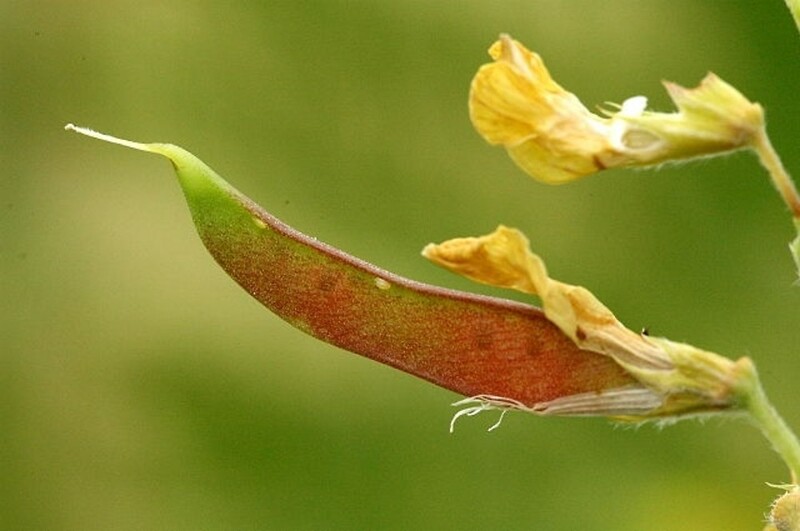 In New England, meadow vetchling is the most common of half a dozen Lathyrus species with two leaflets per leaf. 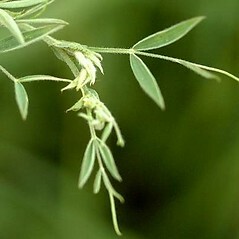 All are non-native horticultural species. 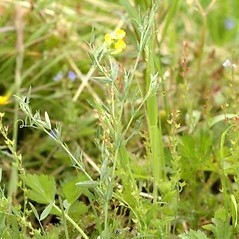 Meadow vetchling has bright yellow flowers. 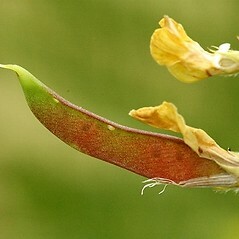 stems conspicuously winged, flowers 18-25 mm long, and legumes 40-100 mm long (vs. L. pratensis, with stems without conspicuous wing-angles, flowers 10-15 mm long, and legumes 20-50 mm long). 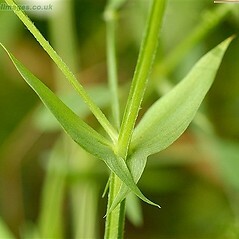 leaves with 4-8 leaflets and corolla white to ochroleucus (vs. L. pratensis, with leaves with 2 leaflets and corolla yellow). 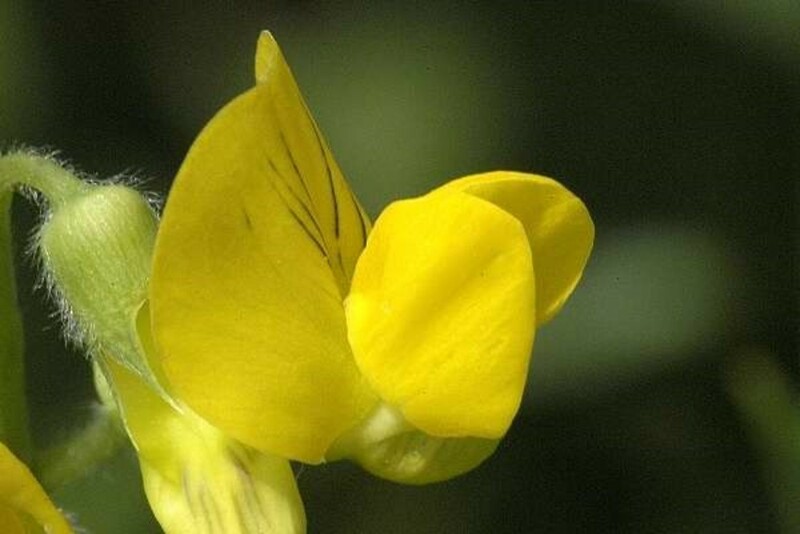 meadow vetchling. 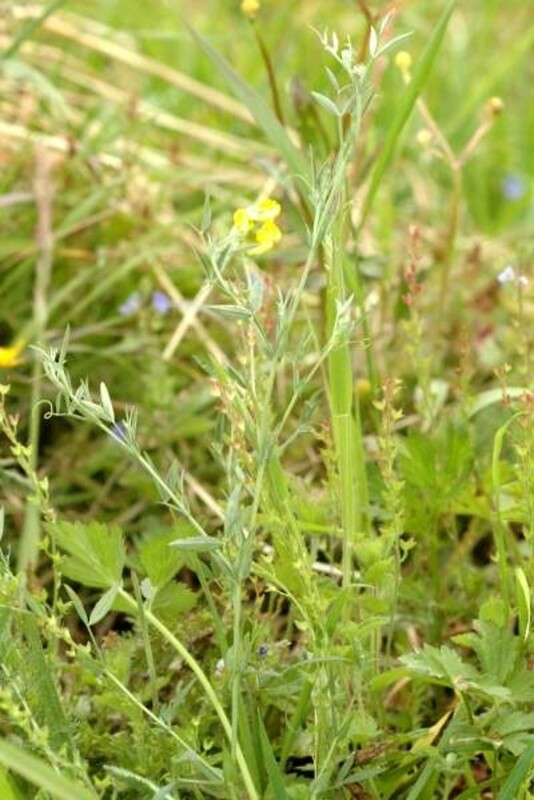 CT, MA, ME, NH, VT. Fields, roadsides, open banks, clearings.